A chemical used in paint strippers could hurt the fetuses of women working in auto body shops, the Environmental Protection Agency announced March 23, and the agency on Monday started seeking input into how strongly to regulate it. The agency found that N-methylpyrrolidone (NMP) can affect the development of babies being carried and those yet to be conceived by women of childbearing age. 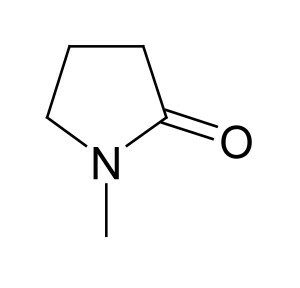 The chemical is also called 1-methyl-2-pyrrolidinone and carries Chemical Abstract No. 872-50-4. Women can cut down these risks with gloves and respirators if they’re working with paint removers containing NMP for less than four hours a day, according to the EPA. But that equipment can’t protect women exposed longer for four hours at a time or who work with the chemical frequently over a series of days, the agency said. The chemical could be harmful to the larger population, but EPA only studied exposure for women of childbearing age, assuming in its final risk assessment that “exposures that do not result in unacceptable risks for these specific lifestages (fetuses) would also be protective of others, including children, for other adverse outcomes.” Basically, that means that anyone who follows what the EPA recommends for fertile women will be safe themselves. The EPA quantified solely the developmental issues linked to NMP for women of childbearing age, believing that to be the biggest concern. The Auto Care Association’s Capital Report also observed California said the maximum air exposure of NMP should be 1 part per million, and the state was concerned about “central nervous system effects and eye, skin, nose and throat irritation” as well as reproductive issues. The EPA didn’t evaluate gloves itself for what would provide adequate protection, but it noted that California recommends gloves made out of butyl rubber or laminated polyethylene/ethylene vinyl alcohol. NMP is used in paint strippers instead of methylene chloride, also known as dichloromethane (DCM) — which is also hazardous. The EPA said Monday it is seeking input about what to do about both of these chemicals, including potentially banning, restricting or phasing them out. The deadline to sign up as a small entity representative for that process is April 10. Find out more here. For now, it recommends using safer chemicals, using the chemical — which doesn’t really hurt the environment as a whole — outside or in a well-ventilated area and using gloves and a respirator. The number of workers at risk is unclear. The EPA estimated in 2014 that as many as 230,000 workers could be using DCM and it has in the past cited a 1999 projection that 27,000 businesses strip paint. But it doesn’t know how many of these firms or what other amount of workers use the NMP chemical — though it does think the number of employees using it is less than the amount using DCM. The number of workers using DCM-based strippers was estimated to be 230,000 (EPA, 2014b); the number of consumers using DCM-based strippers is unknown. As for impact on collision repair, the EPA cited Economic Census data from 2007 that found 35,581 “automotive body, paint and interior and repair and maintenance” companies (that’s as specific as the census gets) with 223,942 total employees. Consumers could also potentially be affected, though they’re only less than 30 percent of the total market for the chemical. Automotive-related uses of NMP in the larger “over-the-counter” market include carburetor/fuel injector cleaners, leather conditioner/cleaners, paint protectants and rubbing compounds.